SCHEDULE YOUR PET'S EXPERIENCE TODAY! Serving the Raleigh, North Carolina metro area, including: Cary, Apex, Morrisville, Holly Springs, Garner and Fuquay-Varina. We believe grooming shouldn't come with compromises. Grab your neighbors and have a BLOCK PARTY!! If you and your friends have five or more pets in the same neighborhood that all get groomed at the same time, we’ll take 10% off everyone’s bill! This package is recommended for our double-coated clients and includes clarifying and moisturizing products to release undercoat as well as a longer brush-out session which removes undercoat while enhancing shine and luster. This is a fantastic package for your dog! Included is our top-of-the-line aromatherapy bath, which calms and relaxes your dog with fantastic aromatic oils and massage. Clients will have a choice of three aromatherapy scents. This spa package is for those pets who may be experiencing skin conditions commonly associated with either food or environmental allergies that need a little more T.L.C. Your pet will receive medicated shampoo and conditioner to invigorate and stimulate healthy skin cell regrowth as well as to soothe and calm flare ups. As you can appreciate, specific prices depend on a number of factors including the package and services you select, as well as the breed of your pet. Additional considerations that affect the time necessary to provide quality, professional services include your pet’s coat type, the current condition of the coat, any health-related issues and your pet’s temperament. 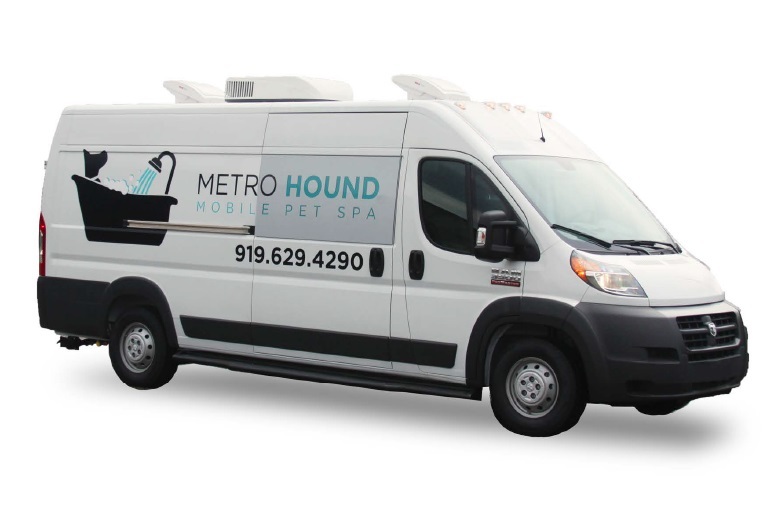 We look forward to the opportunity to show you how MetroHound Mobile Pet Spa can benefit your pet and you. If matting is present, additional fees will be incurred. Everything included in the Long Haired Cat Bath, as well as a personality trim. Kristen specialized in studying zoonotic disease and immunology while at NC State where she learned the trade of grooming while in her senior year. 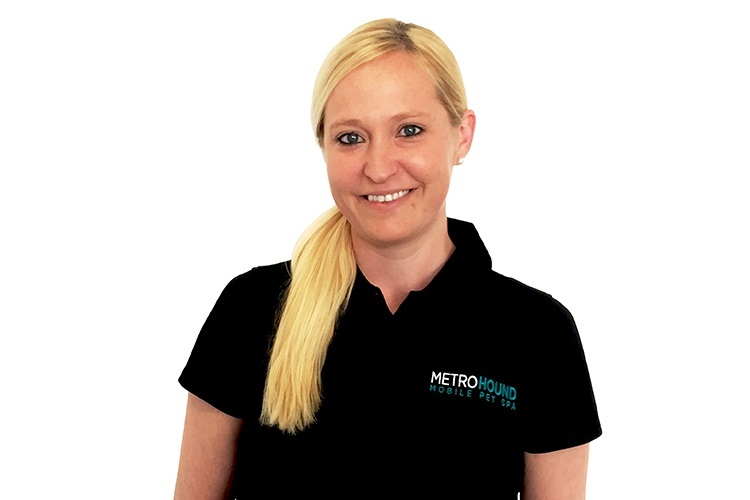 She was able to apprentice with award-winning show handlers and breeders of Bichons, Poodles and Terriers and began her competitive grooming career in 2009 with her Scottish Terrier, McDuff. Since then, Kristen has become a multi-award-winning competitive groomer. In 2012, she was nominated by her peers and competitive grooming judges for Barkleigh’s Best Up and Coming Groomer of the Year. In 2013, she was invited to join GroomTeam USA, which honors the ten best groomers in the country. Kristen plans on continuing to groom competitively, as well as travel as a speaker and clinician for national trade shows and workshops. Kristen is originally from Charlotte, NC and moved to Raleigh area in 2001. She is owned by her four dogs, ranging in size from her show Bichon Frise to her lovable Cane Corso. 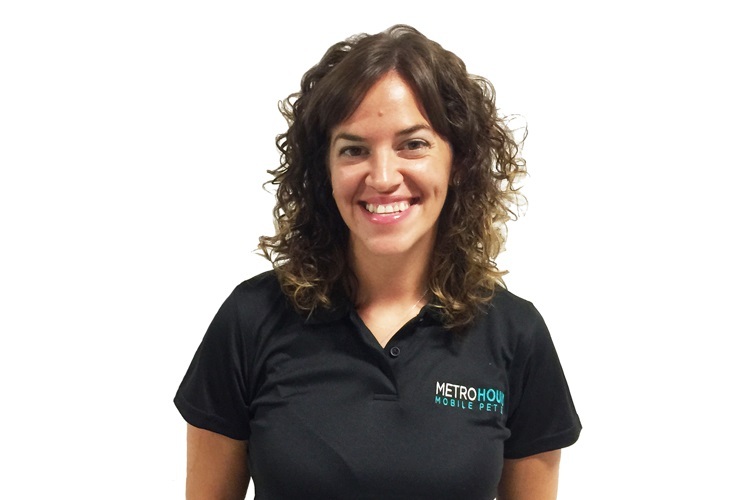 A graduate of UNC Wilmington, Katie is a native North Carolinian and has been around pets and the pet industry her entire life, having run a pet-sitting company, worked at a pet-treat bakery and volunteered at the French Bulldog Rescue Network. Leigh has had a life-long passion for animals and has worked for several equestrian centers and pet stores since she was a teenager. 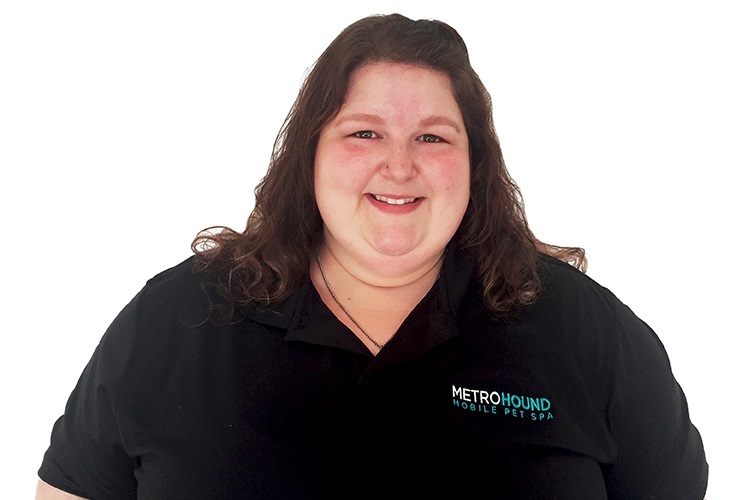 She has been involved in the grooming industry since 2007 and most recently was the resident groomer at an animal hospital where she has honed her skills and learned how to groom extremely anxious and aggressive pets. Leigh is a Raleigh native and is proud to live and work in the community. She is married, has 2 children, 1 cat, 1 dog, multiple snakes, and fish tanks. 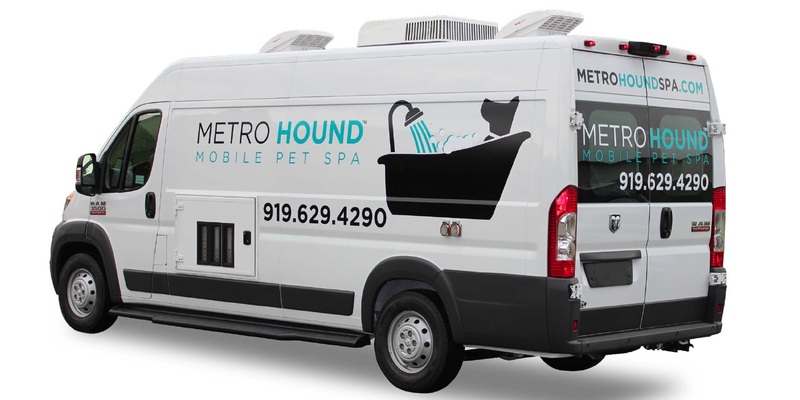 MetroHound℠ mobile salons were custom designed from the ground up to provide the ultimate in comfort, care and safety for your pet. 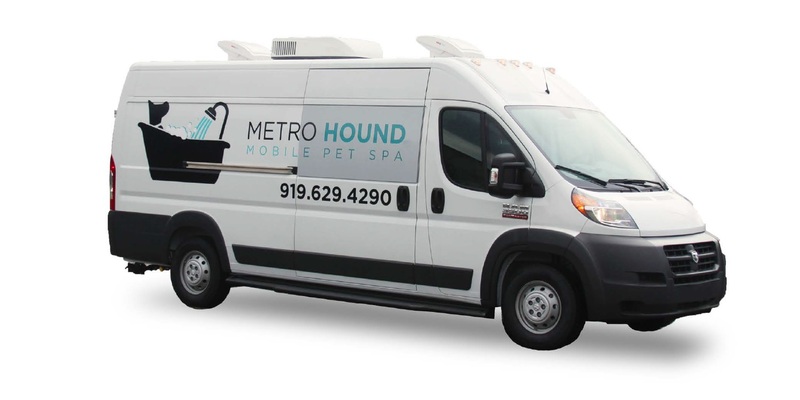 What makes MetroHound℠ mobile salons so great? 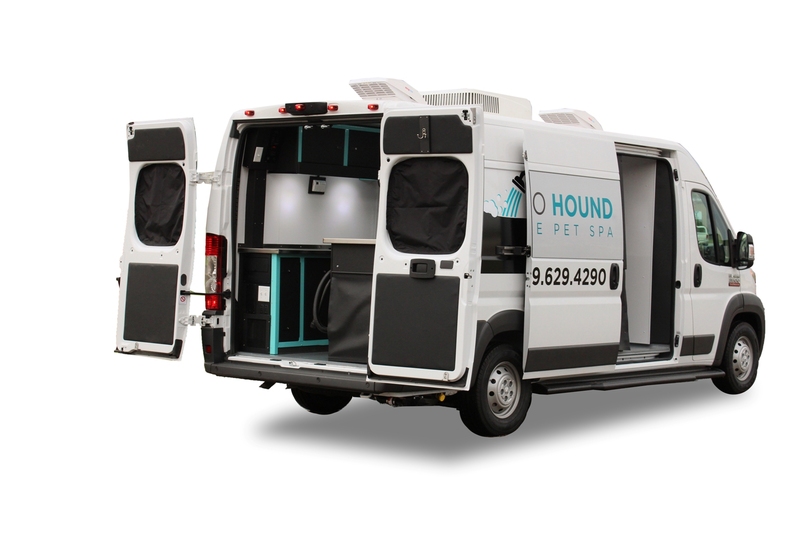 Custom designed from the ground up, they provide the ultimate in comfort, care and safety for your pet. 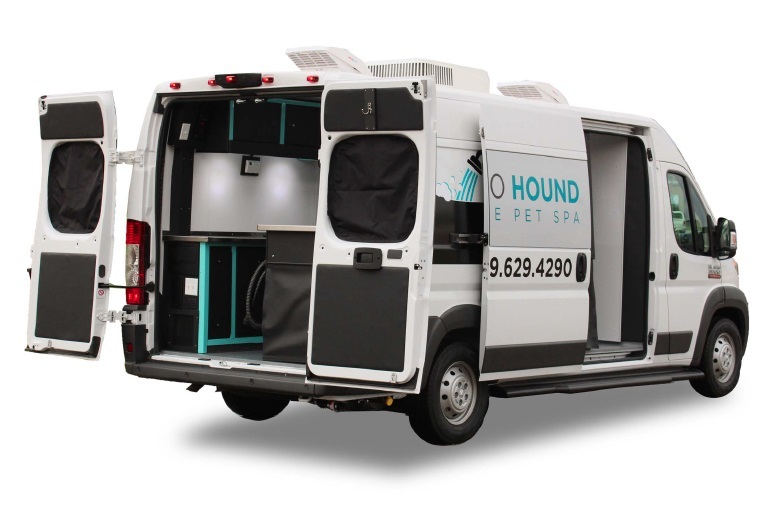 Our mobile salons are completely self-sufficient. We don’t plug into your electrical outlets, we don’t use your water and we take all the used water with us. They use a separate generator, so there is no van idling on your property producing heat and pollution. Or, register your pet and we’ll call you. Here are our dog and cat questionnaires if you would prefer to complete them by hand prior to one of our stylists’ arrival. 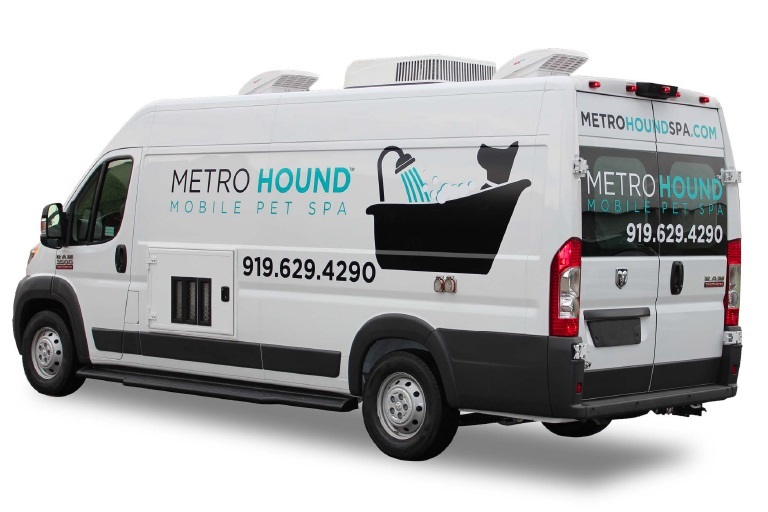 I started MetroHound℠ Spa because my wife and I were tired of our dogs having bad grooming experiences – poor quality, overcrowded shops and inconvenient schedules. If you ever have feedback – good or bad – I would love to hear from you.